Topanga Estate, beautifully appointed and intricately designed on a lush, oversized lot overlooking the mountains. Comprised of luxurious stone, Spanish tile accents, wood floors & custom cabinetry the inside of the home creates a cozy, yet ultra chic atmosphere with vaulted ceilings, fireplaces in the dining and living rooms, view windows in the kitchen and both soaking tub and steam shower in the Master bathroom. The textures and the mix of materials inside seamlessly connect the indoor and outdoor areas into one flow. Placed within a brick courtyard the outside area features fountains, gardens, multiple lounge areas, and a dining gazebo for hosting fabulous dinner parties. This entertainer's dream home is a true get-a-way from the city, yet easy to get to. Guests will have ample parking entering from Fernwood & Cave Way, it offers space for 8 off street parking in addition to ample spaces right outside the gate @ the Fernwood entrance. Come see the magic for yourself. We know real estate is more than just a property - it's a safe place, a lifestyle, a community, a home - and whether you're buying or selling, Diana Braun Group enhances your experience with warmth, creative spirit, insider knowledge, incomparable negotiation skills and keen attention to your individual needs. We are uncompromising advocates for you - let's work together!  Diana Braun Group is a team of real estate agents affiliated with Compass. Compass is a licensed real estate broker licensed by the state of California and abides by equal housing opportunity laws. All material presented herein is intended for informational purposes only. Information is compiled from sources deemed reliable but is subject to errors, omissions, changes in price, condition, sale, or withdrawal without notice. No statement is made as to accuracy of any description. All measurements and square footages are approximate. This is not intended to solicit property already listed. Nothing herein shall be construed as legal, accounting or other professional advice outside the realm of real estate brokerage.